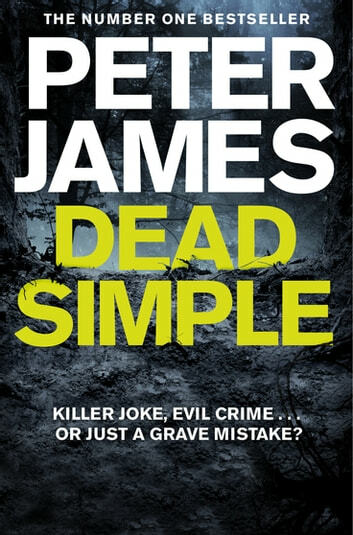 Dead Simple is the stunning first novel in the number one bestselling Roy Grace series from award-winning author, Peter James. Detective Superintendent Roy Grace's first major case is one he'll ever forget. and his friends are dead. With only three days to the wedding, Grace is contacted by the man’s distraught fiancée to unearth what happened on that fateful night. Grace discovers that the one man who ought to know of the groom’s whereabouts is saying nothing. But then he has a lot more to gain than anyone realizes, for one man’s disaster is another man’s fortune . . .
Wow! 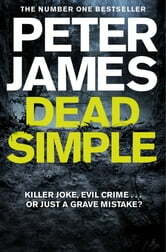 exciting, crisp, humorous .. Peter James draws you into the story and his main character, Roy Grace ..
Really good book. Gripping from start to finish. Aways something going on in every chapter. Will definitely be looking at other books in this series now, based solely on my enjoyment of this book alone!! This book keeps you holding your breath, literally. The first book in the Roy Grace series is full of excitement, racing against the time, fearing if Michael will eventually survive somehow in this nightmare of a prank or if he will slowly but surely suffocate. A great book, can only recommend Peter James. Loved every bit of this book. Was so many twists, it made you want to keep reading!! Well wrote and will definitely read another book of Peter James! !